There’s a good reason why this fruit combination is often used in desserts: it’s absolutely delicious! The raspberries and lemons make the perfect mix of sweet and tart flavors, plus the crushed raspberries give the water a beautiful pink tint. 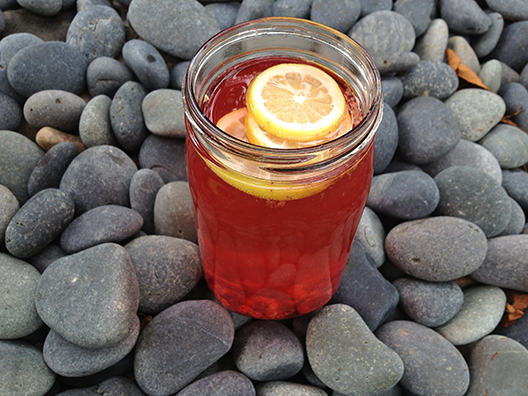 Recipe for a 32 ounce Ball jar: 10 organic raspberries, muddled, + 2 slices of a large lemon or 3 slices of a small lemon. Fill the jar with purified water and let infuse at room temperature for an hour or chill in the fridge for up to 3 hours. Before serving, you must strain the infusion through a fine metal strainer. 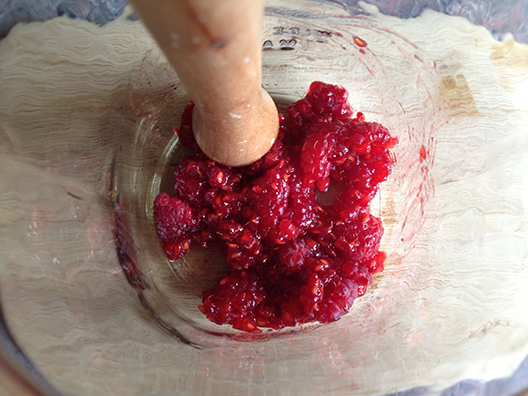 If there are still raspberry pieces clouding the water, clean the strainer and strain a second time. Note: the raspberries will also turn your lemon slices pink, so don’t be alarmed by their appearance. Muddle the raspberries into a squishy mess. Garnish your strained drink with a lemon wedge if you are feeling fancy! Am I correct in assuming that any water you show made in a mason jar can also be made in an infusion pitcher? It’s all I have and I would prefer to use that as opposed to having to buy mason jars or something similar separately. Would I need to vary the recipe at all? Thanks! Hi, Julie. 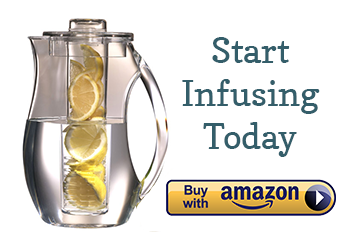 Yes, you can absolutely make any of the recipes in an infusion pitcher. The jars I use are 32 oz, so just look at the size of your infusion pitcher and adjust the recipe accordingly. Also, as long as you are not using strongly flavored herbs or hot peppers, you can play around with the amount of ingredients used. Infused waters are very versatile. Good luck! Just wondering if it is needed to strain the infused waters. How much fruit infused water per day should I drink? I am looking for 1 that promotes weight loss and detox.